Paul Ceglia is charged with one count of mail fraud and one count of wire fraud, each of which carry a maximum sentence of 20 years in prison. Federal agents arrested Paul Ceglia, an upstate New York man who claims he's owed 50% of Facebook, Friday morning on charges of perpetuating a "multi-billion-dollar scheme" to defraud the company. If convicted, Ceglia faces up to 40 years in prison. The move could end a bizarre legal saga that began in July 2010, when Ceglia filed suit in New York claiming that he paid Facebook founder Mark Zuckerberg to build a website similar to what became Facebook, and that they agreed to split the company. Both Facebook (FB) and founder Mark Zuckerberg have strenuously denied Ceglia's claims. The government's complaint against Ceglia, 39, echoes Facebook's accusations. Ceglia "doctored, fabricated, and destroyed evidence to support his false claim," according to a statement from the U.S. attorney's office in New York City. The government's complaint accuses Ceglia of altering a contract and inventing emails that didn't exist. Zuckerberg acknowledged signing a business contract in 2003 with Ceglia for a small programing job, one of many work-for-hire gigs that Zuckerberg accepted as a college student. But Facebook says that contact predated Facebook, which was conceived in 2004, and made no mention of the social networking venture. The government's investigators agree. The real contract, discovered on one of Ceglia's hard drives, and "does not refer to Facebook in any fashion," according to the U.S. attorney's office. A search of email servers at Harvard University, where Zuckerberg was a student at the time in question, did not turn up alleged emails that Ceglia submitted as evidence. Ceglia is charged with one count of mail fraud and one count of wire fraud, each of which carry a maximum sentence of 20 years in prison. Federal agents arrested Ceglia Friday at his home in Wellsville, N.Y., about 90 miles south of Buffalo. Ceglia's attorneys did not immediately reply to a request for comment. The U.S. Attorney's office said he will appear at federal court in Buffalo later on Friday. Orin Snyder, a lawyer at the firm Gibson Dunn who is representing Facebook and Zuckerberg, said they "commend" the U.S. Attorney's office for bringing charges against Ceglia. "Ceglia used the federal court system to perpetuate his fraud and will now be held accountable for his criminal scheme," Snyder said in a prepared statement. Facebook did not comment further on the charges. When Ceglia filed his charges in mid-2010, Facebook was caught off guard. A state court in New York's Allegany County, where the case originated, briefly froze the company's assets, while Facebook's lawyers scrambled to untangle Ceglia's claims and Zuckerberg's pre-Facebook business dealings. Back in April 2003, Ceglia arranged to pay Zuckerberg for development work on a now-defunct site called StreetFax. Ceglia claimed the deal also covered work on a fledgling site called "the Face Book" and produced a contract to back his claim. Government investigators say Ceglia "simply replaced page one of the real contract with a new page one doctored to make it appear as though Zuckerberg had agreed to provide Ceglia with an interest in Facebook." Ceglia's lawsuit got a fresh round of attention when he re-filed it in April 2011 with the backing of high-profile law firm DLA Piper (which dropped the case a few months later). The new documents included dozens of incendiary e-mails allegedly exchanged between Ceglia and Zuckerberg from July 2003 and July 2004 -- an email trail that the government says was entirely faked. Ceglia has had several brushes with the law, including a 1997 felony conviction for possession of 400 grams of a compound found in certain hallucinogenic mushrooms. 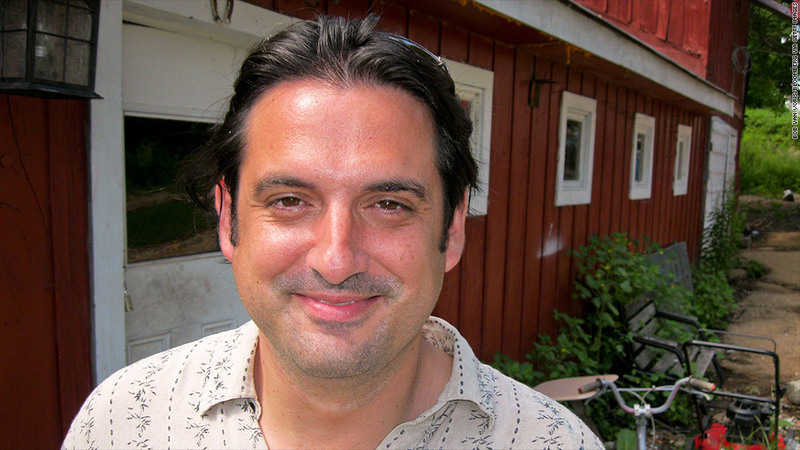 In 2009, Ceglia was convicted of fraud in connection with a wood pellet company he owned.